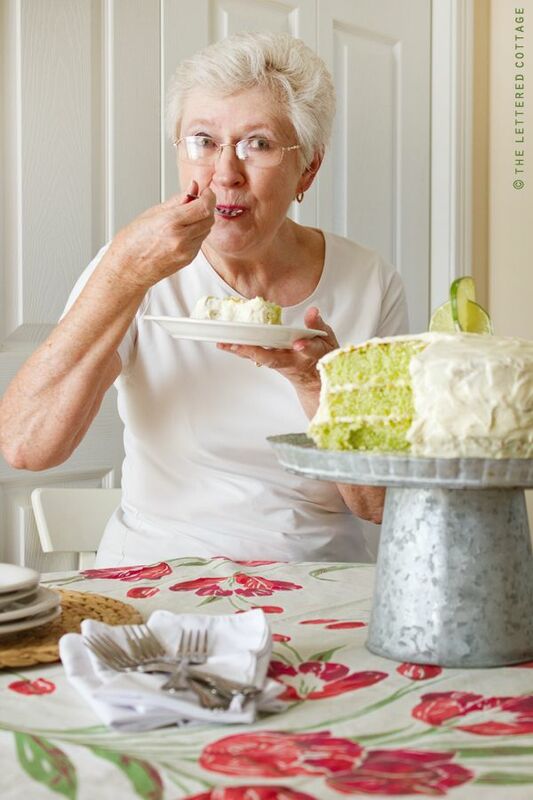 I’m feeling “foodie” today, and it’s been years since I first blogged about Kevin’s mom’s key lime cake recipe, so I thought I’d post it again for anyone who didn’t catch it the first time around. It’s soooo delicious! She usually makes it in a two-inch deep, 9×13 pan, but for this post, she made the stacked version. (She doesn’t adjust any of the measurements. She simply uses a the 9×13 pan.) You can also make this recipe into cupcakes, too! Step 1: Prepare three round 9″ pans by lining the bottoms of each with 9″ circles of wax paper. Step 2: Grease the wax paper with Pam and then sprinkle with flour. Step 3: Mix the cake mix, lime jello, oil, eggs, orange juice and water together for 2 to 3 minutes at medium speed. Step 4: Pour an equal amount of the batter into each of the three lined cake pans. Step 5: Bake at 350 degrees for 25 minutes. Step 6: While the cakes are baking, knead two key limes against a hard surface to loosen the juice inside of them. Step 7: Cut each of the limes in half. Step 8: Squeeze 1/4 cup of fresh key lime juice into a small bowl. Step 9: Pour 1/4 cup of bottled lime juice into the bowl of fresh lime juice. Step 10: Mix in 4 tbsp. of confectioners sugar. When the cakes come of out the oven, and while they’re still warm, use a spoon to drizzle the glaze mixture onto the entire surface of each of them. 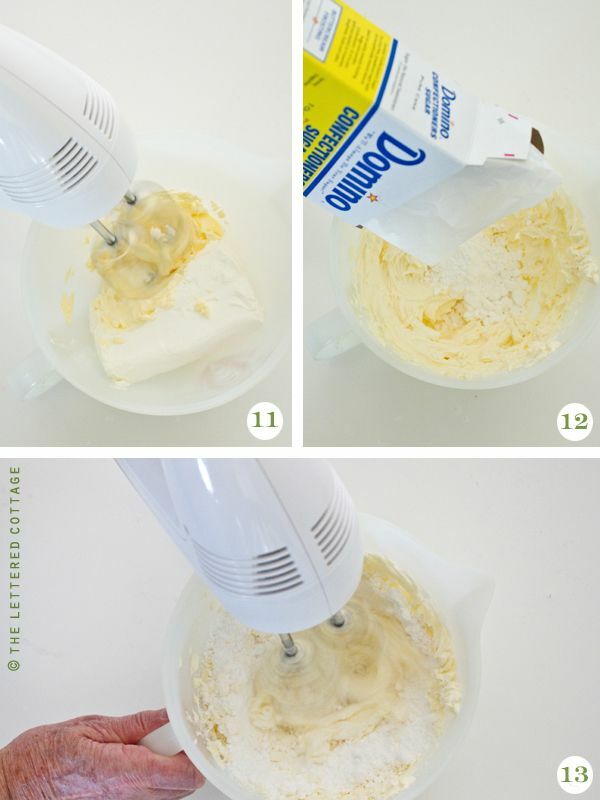 Step 11: Mix the margarine and cream cheese together. Step 12: Mix in the remainder of the box of confectioners sugar. Step 13: Add the vanilla, and mix until it’s smooth. Step 14: Remove the first cake from its pan, discard the wax paper on the bottom of it, and spread a layer of icing on the top of it. Step 15: Remove and stack the second (wax paperless) cake on top of the first one, and spread a layer of icing on the top of it. Step 16: Remove and stack the third (wax paperless) cake on top of the second one, and spread a layer of icing on the top of it. 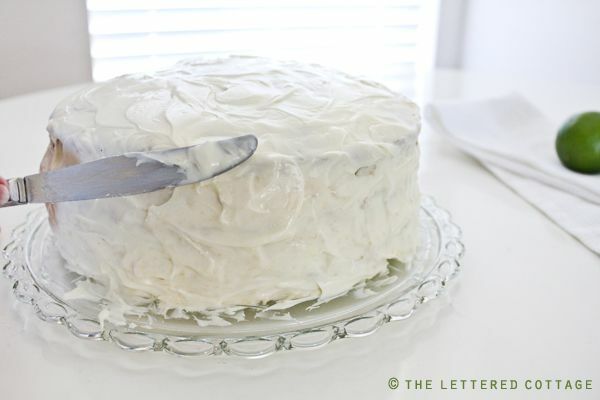 Use the remaining icing to cover the sides of the cake. Place the cake in the refrigerator to keep the icing firm. OR immediately cut and serve up several large pieces to your famished family. 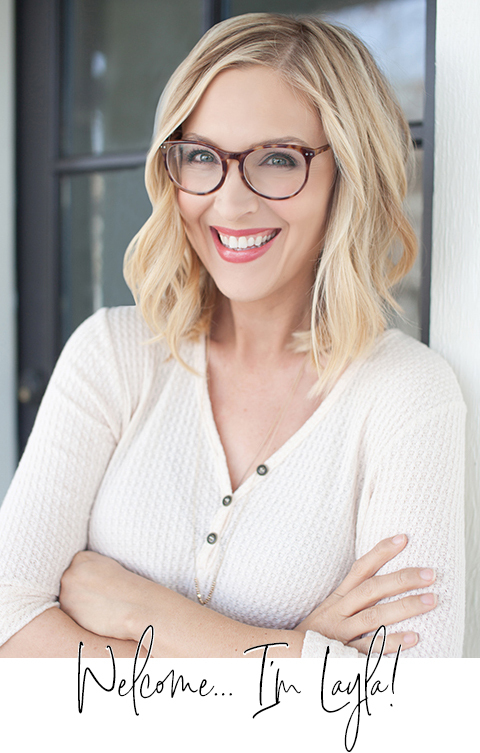 If you have any questions about the recipe (or would just like to say hello to Katie!) please feel free to leave her a comment on this post! Step 1: Prepare three round 9" pans by lining the bottoms of each with 9" circles of wax paper. 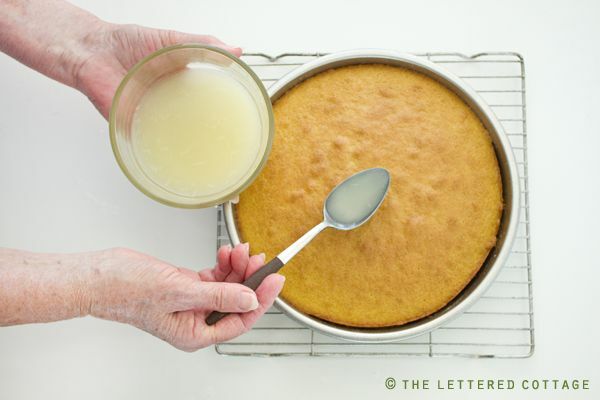 When the cakes come of out the oven, and while they're still warm, use a spoon to drizzle the glaze mixture onto the entire surface of each of them. Step 13: Add the vanilla, and mix until smooth. 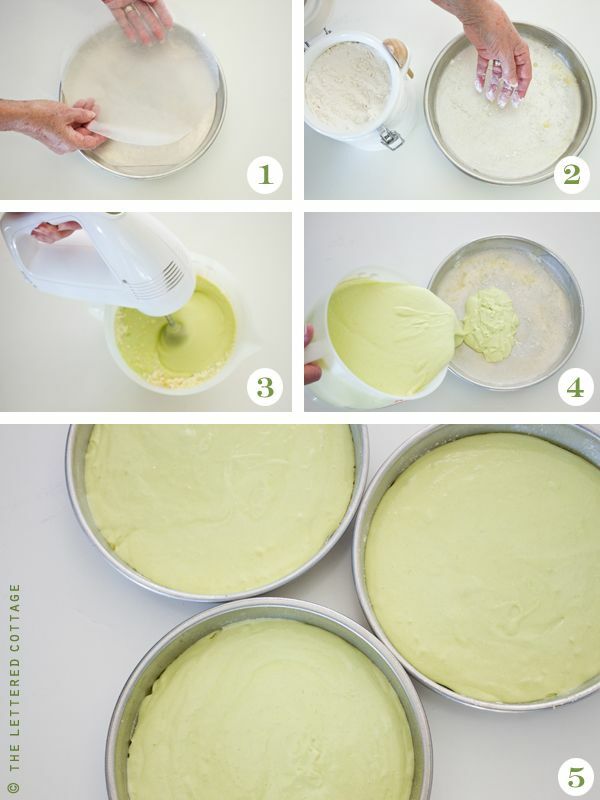 Step 14: Remove the first cake from its pan, discard the waxpaper on the bottom of it, and spread a layer of icing on the top of it. 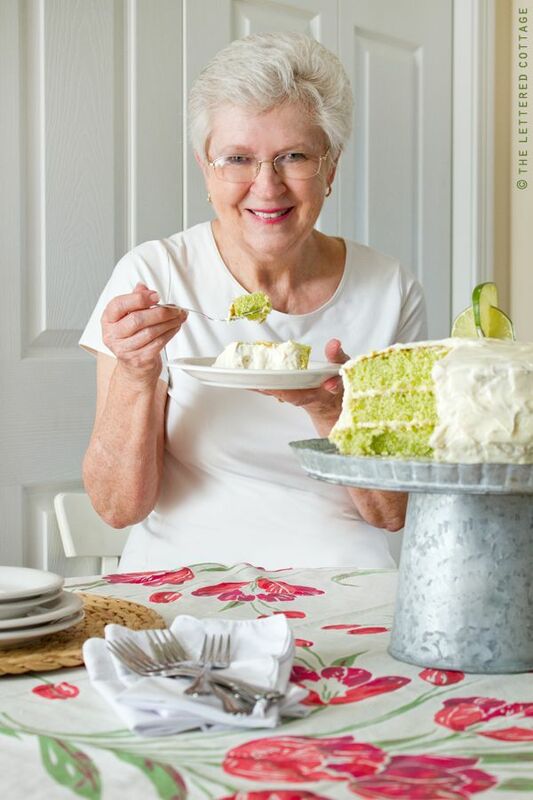 As a fan of key lime pie, I can’t wait to taste this cake. I am not a baker! Can you send some??? Just kidding. I will share this recipe with my sister and hope she takes the hint! Oh my goodness that looks delicious! Can’t wait to try it. Looks delicious, Katie!! Those grandkids look especially grateful!! Thanks for sharing, Layla! 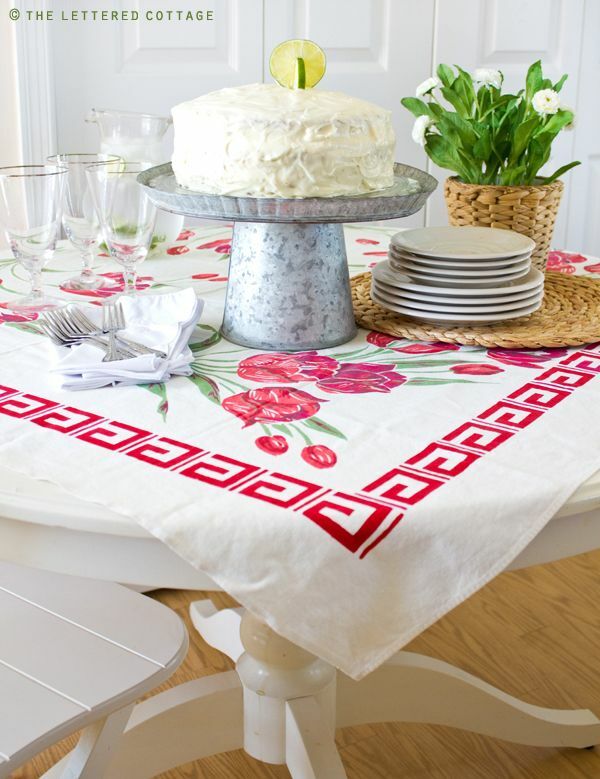 Not a baker, but luv to cook…but this recipe restores my faith in baking!!!!! Thanks for turning me into one!!!!!! I love to bake and to take the baked goods to work for an occasional treat especially if it is a new taste/treatment of a taste. This recipe sounds wonderful! I think it appears easily adaptable to changing from lime to lemon if desired. I love my lemon. My Pinterest account has a “love my lemon category!) I can’t wait to try it both ways. Layer cakes can be more difficult to transport so I am thinking I might try this in a 9 X 12 sheet pan. Have you tried baking it this way? Would there need to be adjustments to the recipe? Yum…yum!!! Planning to take this cake to the lake for July 4th. Everyone will love me and Katie too! Love this cake in any shape! I just add some lime zest from a microplane to the frosting, to tie in the lime flavor. So yummy! I was going to post the same thing about adding the lime zest! 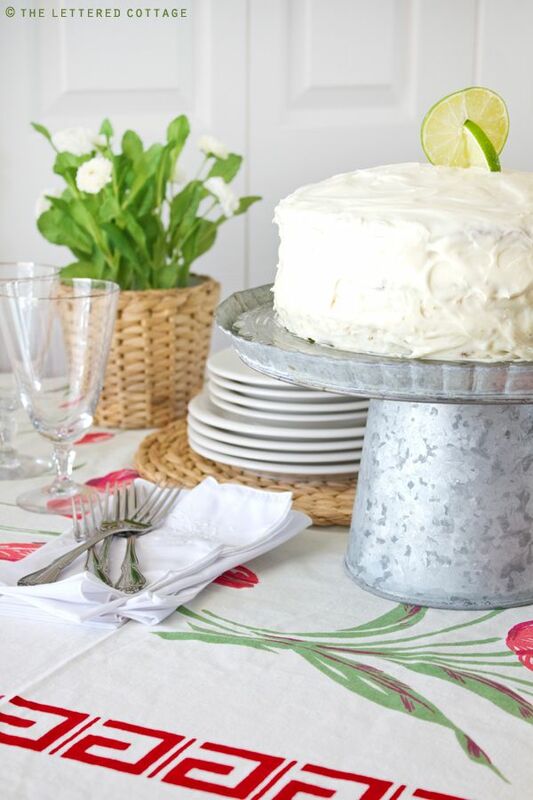 It definitely adds a little extra punch to the icing and the bits of zest are pretty too! This is the same recipe that I use. One of my favorite cakes! I’m making this. And hope my grandchildren look that excited when they see it. Thanks!! Sure thing, Louise! Those photos came from my original post that published in 2011, but she’s just as gorgeous and vibrant today! I don’t know which looks more delightful, the cake or Katie. when are Katie and Kevin’s dad moving into the new place? We haven’t seen much on it lately. Still the same timeline- they’ll move in whenever the barn is done. Awaiting the electrical inspection this month. Hope to have electricity soon! Hi Katie and thank you for the recipe! You’re so cute! I hope I look as pretty as you do when I’m a grandmother. Hi Katie! I love when Layla shares your recipes! You all are so blessed to have each other. 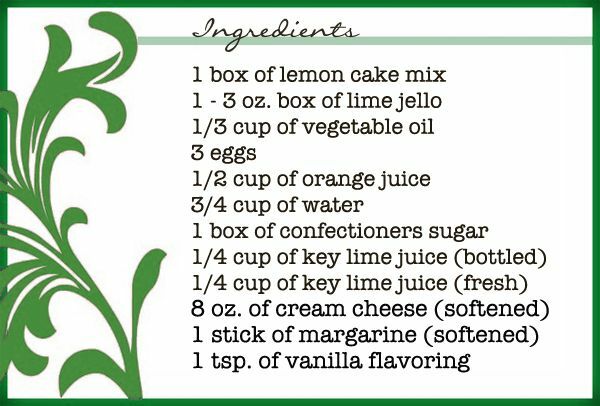 My Dad loves lime so I think I will make this for Father’s day. Thank-you so much for sharing this recipe. It looks amazingly delicious.All the best to you all. Oh my! !… that looks and sounds delicious, I don’t think we have key limes in Australia, welI I haven’t come across any, I should say. Just ordinary lime juice would be OK? Can’t wait to make it, and tomorrow sounds perfect. Best wishes to you all. Great summer dessert. Yout MIL is so pretty. 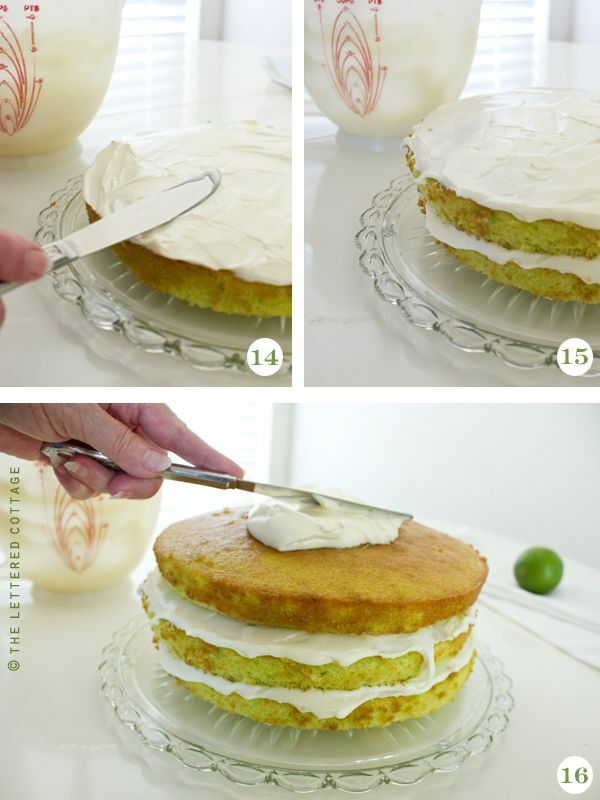 I never thought of key lime cake before. We love a good key lime pie so this would be a good one for us. Oh my goodness, this looks yummy! I want to make this in a 9X13 pan and am wondering if I prepare the pan the same way as Katie did with the three rounds–wax paper, Pam and flour? Or since I’ll be using a 9X13 Pyrex dish, can I just spray it with Pam? This was phenomenal! Made it yesterday for hubby’s birthday minus cream cheese frosting, as he is not a fan of cream cheese. How is that even possible?? 🙂 I will make this again and again. Thank you! I’ve never had key lime pie.. or cake! It looks yummy and easy. Thanks! I buy my powdered sugar in a bag (from Aldi). Can you tell me how much “the rest of the box” is? Or an estimate? I took another look at that photo and it looks like it says “1 lb” on the front of the box. Hope that helps! Yes! That’s super helpful. I just measured it out using a kitchen scale. Thank you! The cake turned out perfectly! 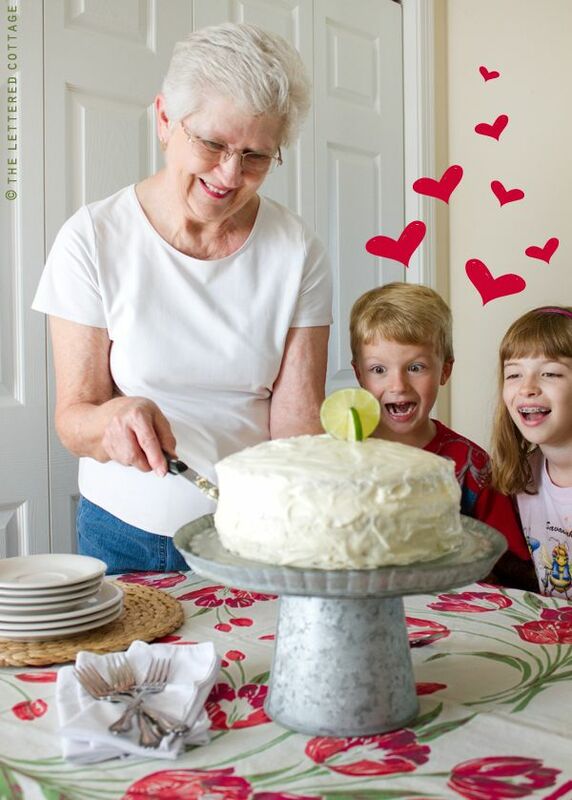 I have been searching for a easy to make cake for my Birthday while we are down south in Trinidad ( I even think that we will have limes on our trees then too! ). 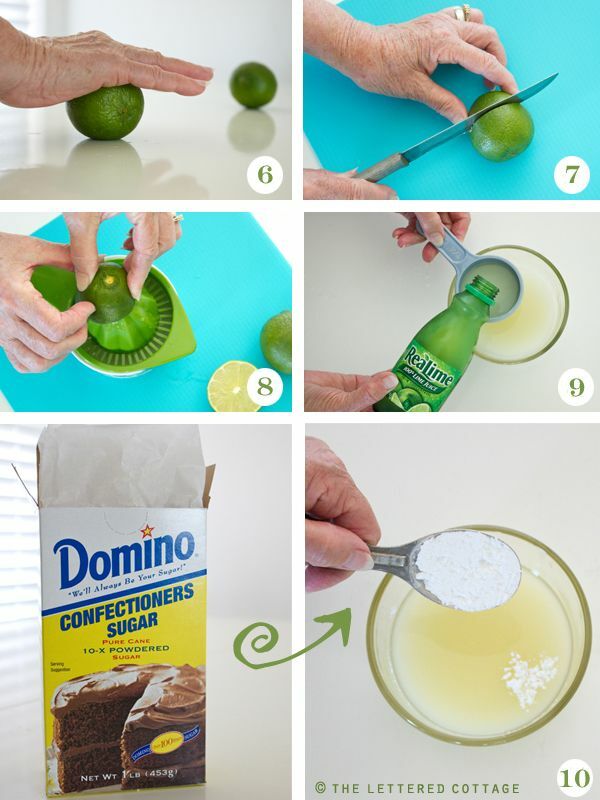 I LOVE lemons and Limes, so I can’t wait to try this. I just wanted to make certain, the recipe as listed, will fit into 3 pans? I don’t have to double the recipe? ( it just doesn’t seem like a big amount of cake )? ?